If you want to look stunning to impress your loved one then this grey colored semi stitched pant style suit. 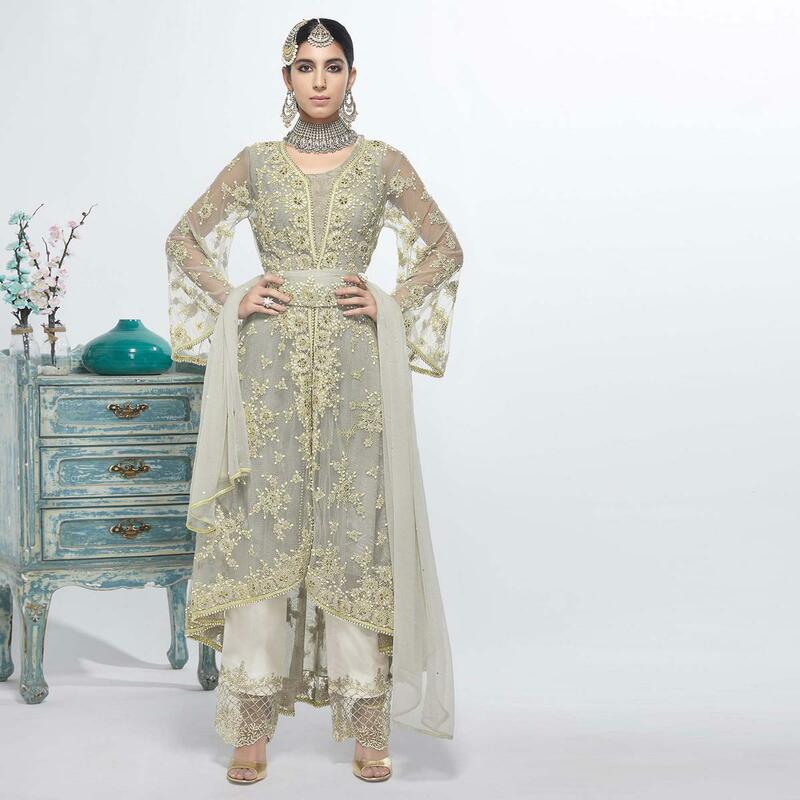 This latest designed suit features beautiful floral design embroidery on kameez, with santoon lining. 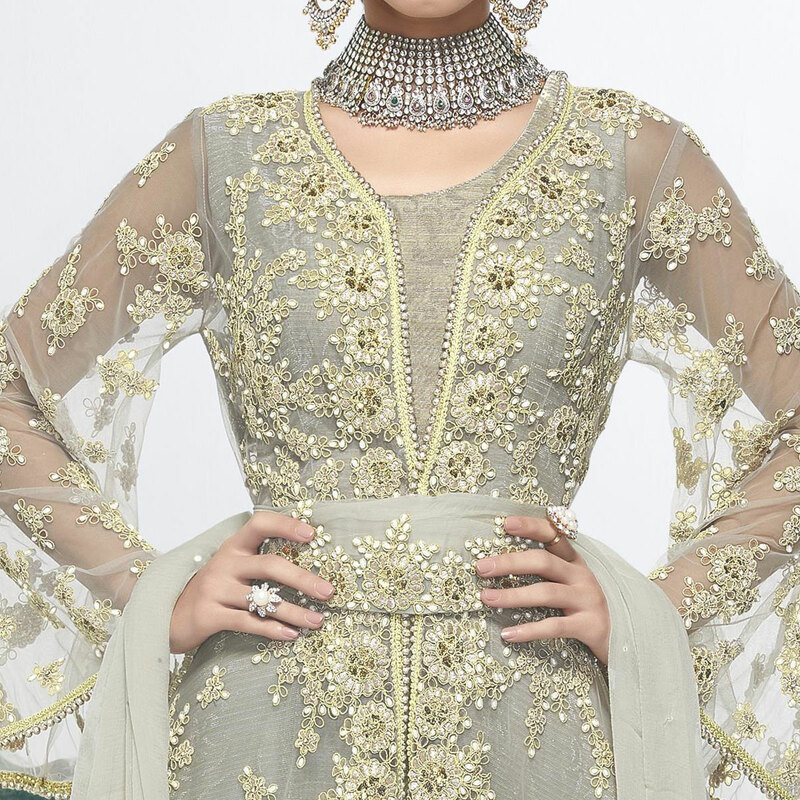 Along with santoon pant style bottom and matching net dupatta. Get this outfit stitched so that you can wear it & impress everyone around. Team it with fashionable ethnic accessories to look more outstanding. 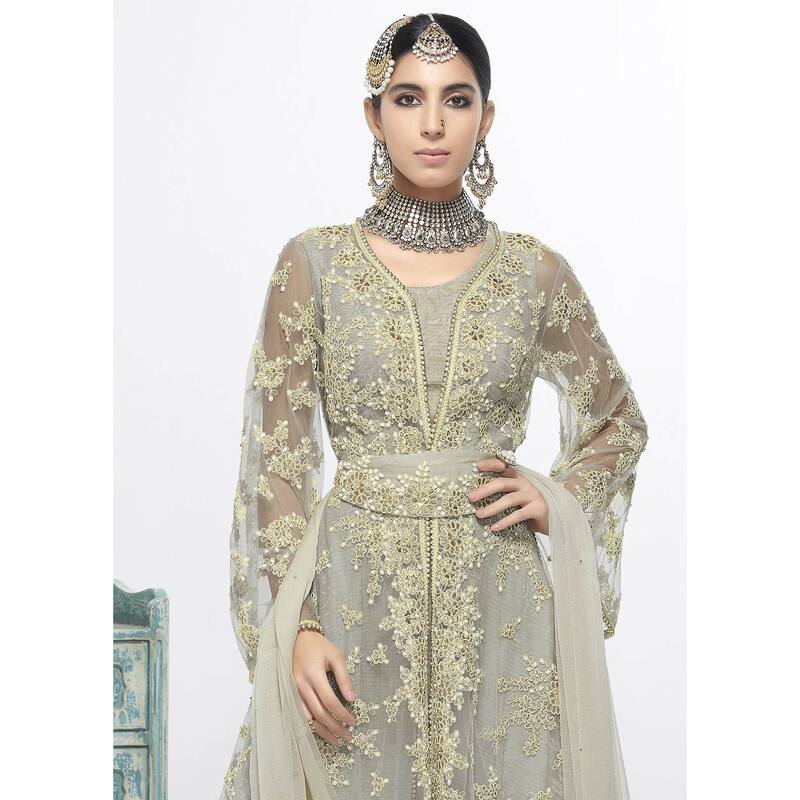 Grab this indo western suit now as it's rare to find.